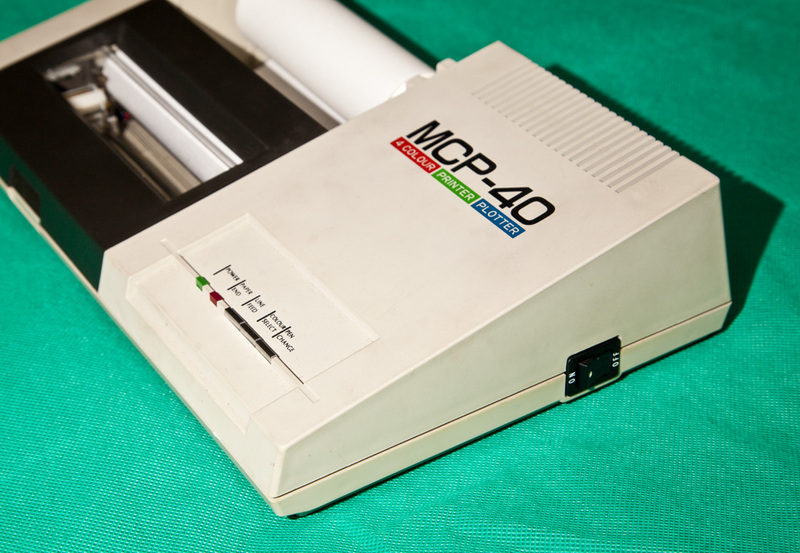 Frank C. ODDS presents his favorite printer for the Sharp PC-1500 : the MCP-40. 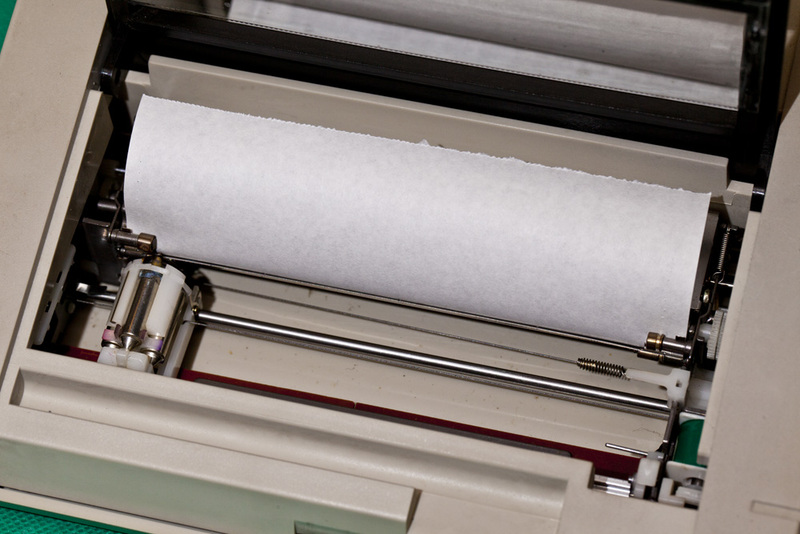 The MCP-40 printer — identical, it seems, to another model called “Oric 1” — was a four-colour printer plotter that used a rotating “bullet chamber” device identical to the one in the Sharp CE-150. 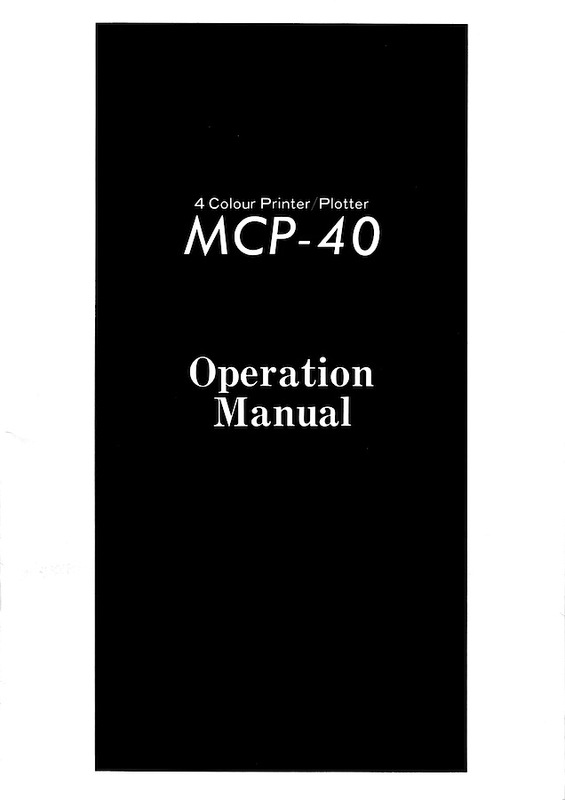 But the MCP-40 printed on paper rolls 114 mm wide, thus offering larger results than the “bus ticket” output of the CE-150. 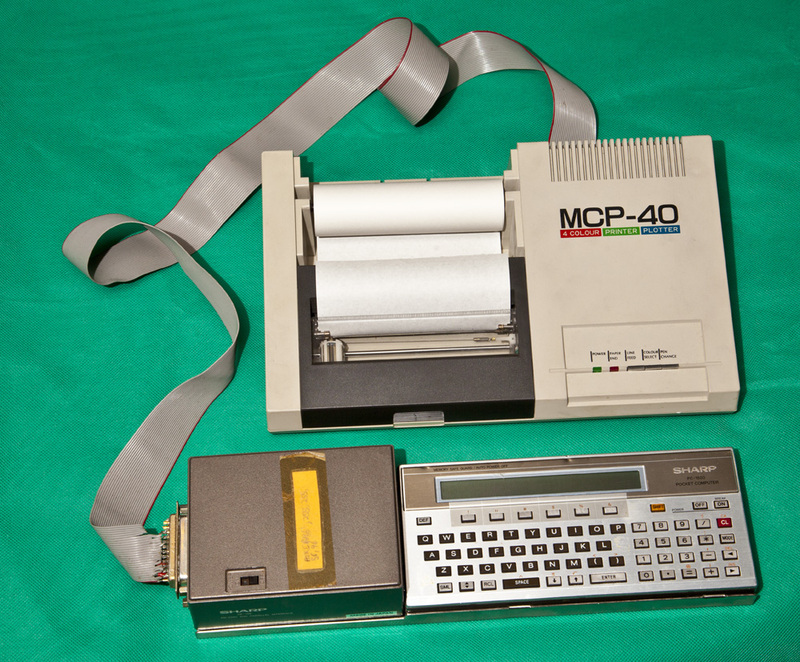 The MCP-40 connected to computers via a 36-pin parallel port connector that reduced to a 25-pin DIN connection at the computer. 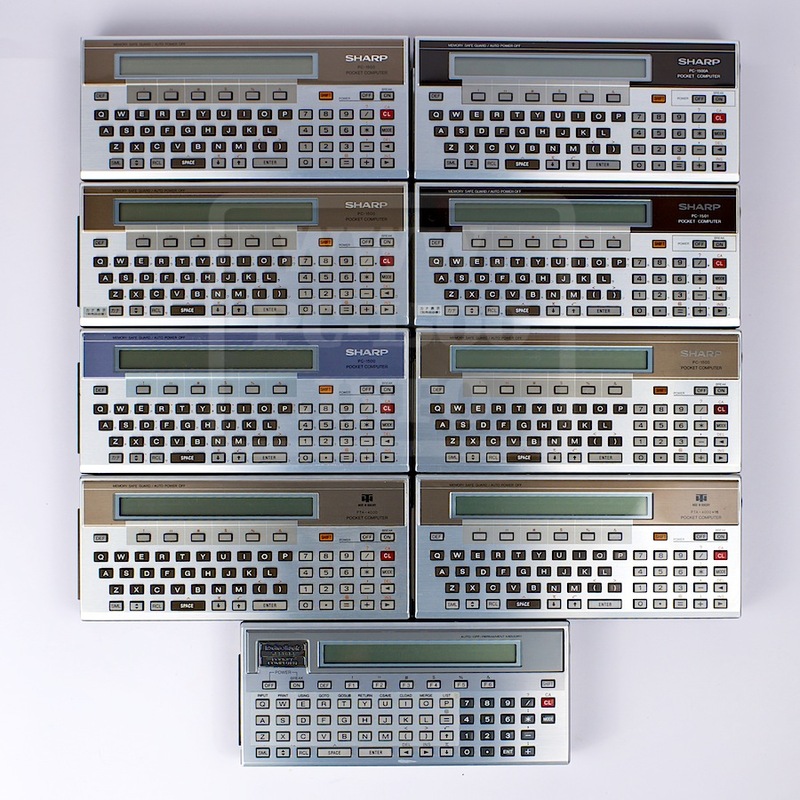 It connected directly to the electricity mains. 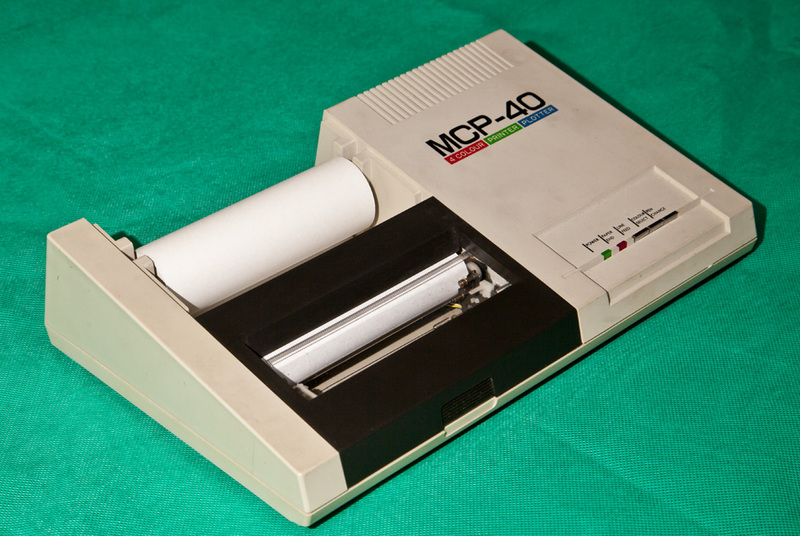 It therefore functioned more like a full-sized printer than a pocket computer add-on. 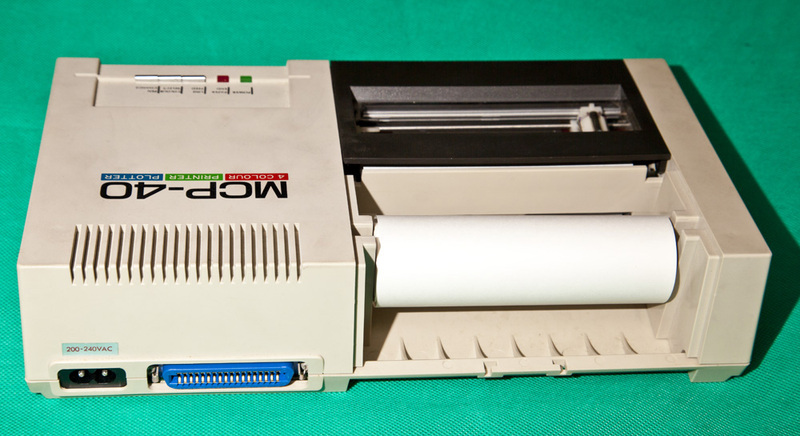 The printer connected to the PC-1500 via the parallel port on the CE-158 serial/parallel interface. 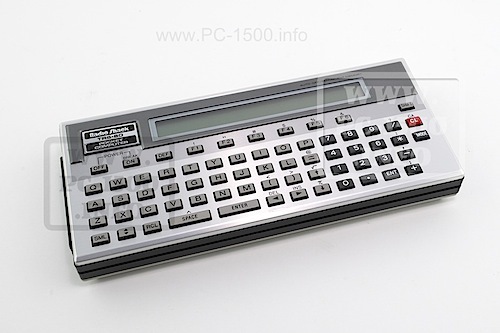 For printing full-sized text output from the PC-1500, a serial or parallel port connection to the dot matrix, tractor feed type of printer that was widely used in the 1980s. 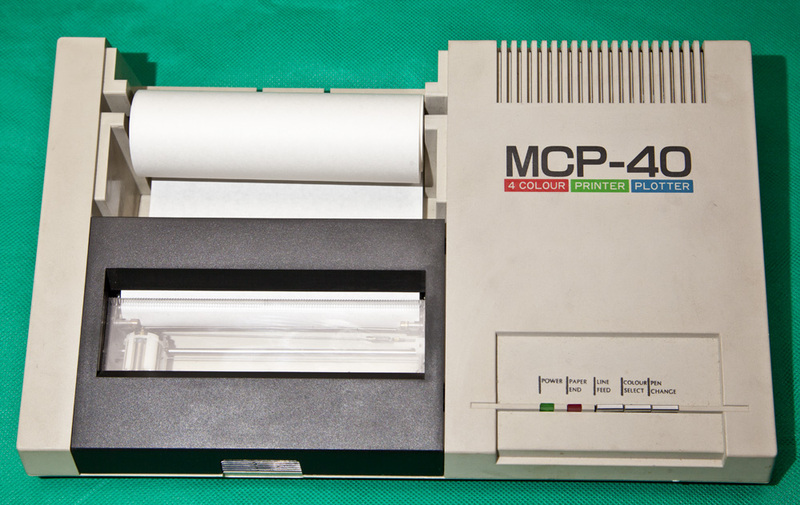 But the MCP-40 came into its own for graphic printing: the four-colour capability, together with the ability to draw smooth lines in any direction, meant it was ideal for plotting graphs and drawing computer-generated diagrams. 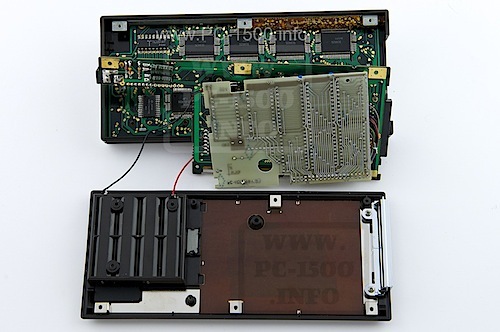 The MCP-40 sold for a relatively cheap price, making it a great value add-on for a Sharp PC-1500 set-up. 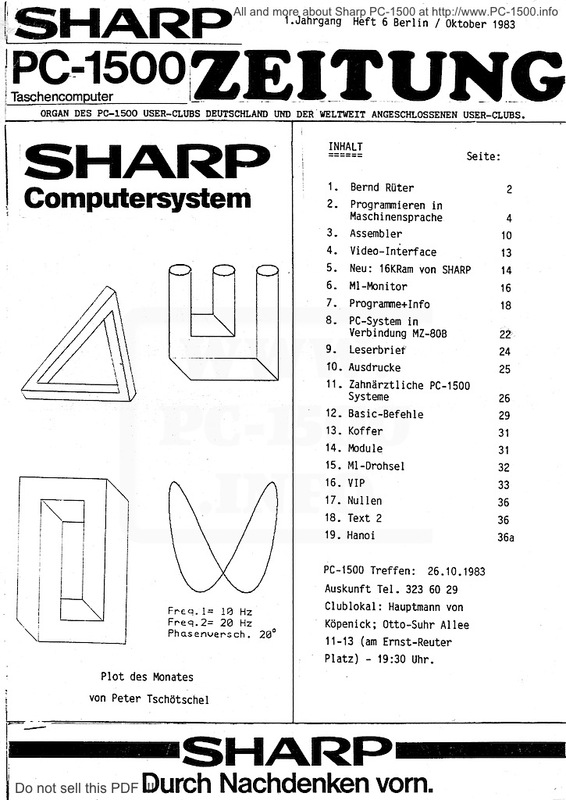 Thank you Frank for sharing your experience with us. 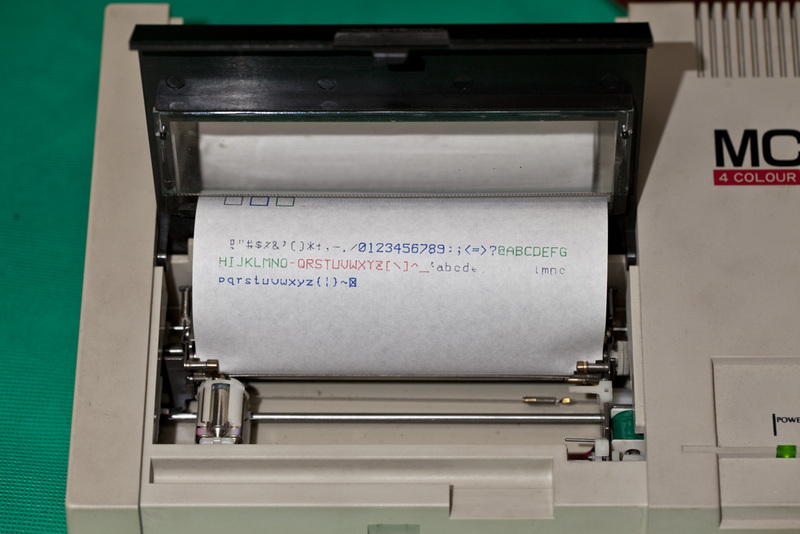 This entry was posted in 2-Printers, Blog, Hardware on 11/21/2014 by Rom1500.